Since Instagram has long been an integral part of modern society, it has been the subject of active study by experts in the field of mental health. The reason for such interest is that Instagram is actively promoting the ideal life. So what to do with it? A wave of indignation began after 24-year-old fashion blogger Scarlett Dixon published her photo in which she had coffee and pancakes with strawberries, smiling beautifully on a perfectly made bed surrounded by heart-shaped balloons. It was a sponsored publication, which advertised lotion from Listerine. The bottle was on the table, next to the bed. The best of days start with a smile and positive thoughts. And pancakes. And strawberries. And bottomless tea. My morning routine is now live on YouTube — and while I don’t show you my real bed hair (trust me, it’s not pretty), I do give you a little insight into how I start my day in a positive way. Head over to my stories for a swipe up link — and let me know what you think! It features my morning habit of rinsing with Listerine Advanced White to help whiten my teeth. @listerineukireland #BringOutTheBold | This is a paid partnership with Listerine. More than 100K people approved his publication, which is 22 times more than the original post by Scarlett Dixon. About 25 thousand retweets instantly spread this information, causing a lot of resentment and a wave of criticism of the «ideal life» on Instagram. Twitter is famous for its unfriendly and hostile atmosphere. This social network is full of insults and active hostility towards strangers. Moreover, Twitter users most often create groups where they discuss and sometimes even pursue celebrities and more successful users, condemning or insulting them. One such bright case was the discussion of the woman in Star Wars. In turn, Instagram is a very friendly platform. The interaction between users of this social network is reduced to the fact that a double click is enough to show your sympathy for the publication. Instagram has a positive characteristic, as it is filled with beautiful photos of not only people but also of nature and cute animals. Who does not like that? Nevertheless, the positivity of Instagram has the other side of the coin, especially if you talk with experts on psychological health. This social network encourages cute, attractive pictures that, in addition to the aesthetic positive influence, can lead others into a deep delusion. While Facebook can be boring and mundane, and Twitter — aggressive, Instagram will contribute to your doubts and feelings that everyone has a bright, beautiful and successful life, but not you. The fear and prejudice that social networks create an unreal reality and dictate the rules of a beautiful life have an ironic tinge. Dixon herself was convinced of this, since in this way she was able to justify aggressive-minded users. In addition, Scarlett reported that every time she updates her account, there are new unpleasant messages, some of which even contain threats. A harmless post with a photo from Venice in which the girl smiles and eats ice cream caused such a reaction. Users literally surrounded her with malicious messages. Scarlett Dixon argues that people cannot constantly carefree time, enjoying the beautiful city and delicious ice cream. This is very obvious. Dixon added that she does not find her content harmful or promoting the wrong things. 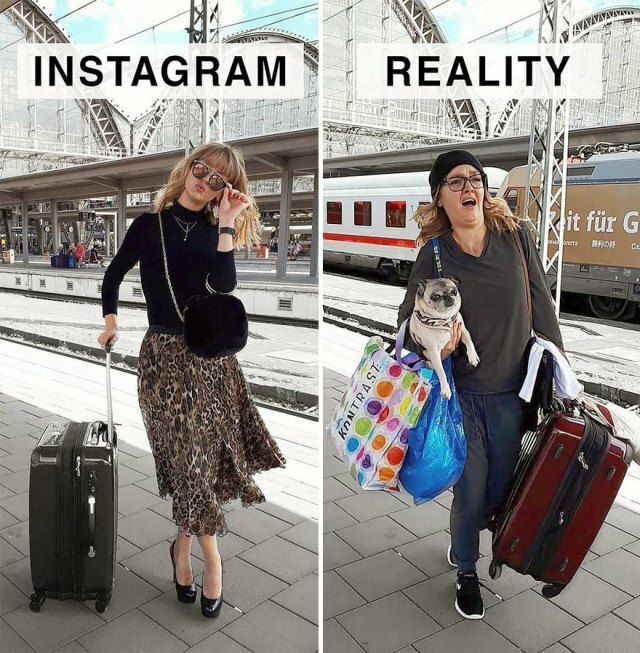 Nevertheless, she confirms the idea that Instagram contributes to creating false notions about life and gives people false expectations. 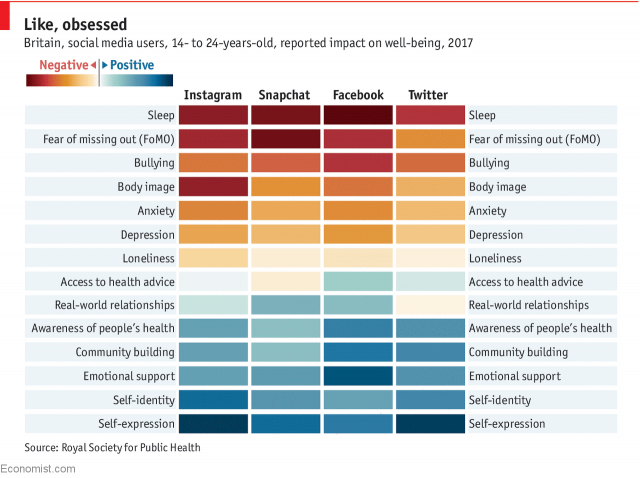 Despite the opinion of Scarlett Dixon, the view that Instagram has a negative impact on the psychological health of users continues to strengthen. 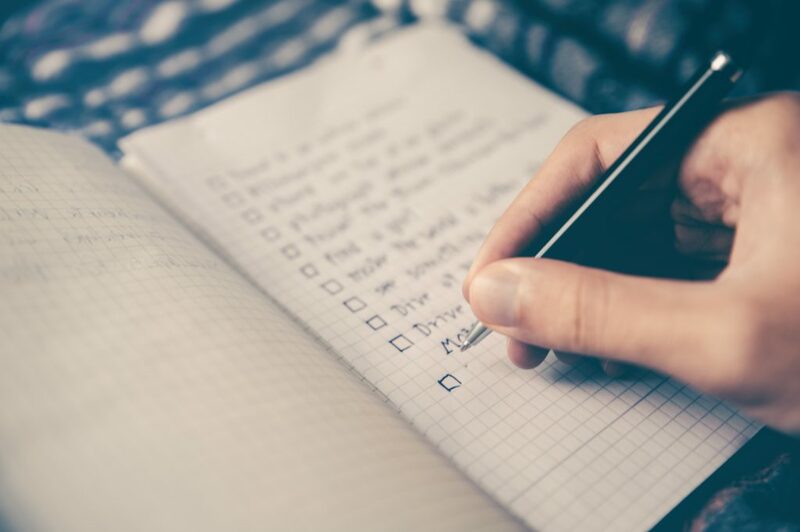 As well as to evaluate such indicators, beginning from the quality of sleep, and ending Fomo — fear not to have time to learn something trendy, which is already popular and in demand from others. This survey showed that Instagram ranked first in terms of high rates of sleep disturbance, the formation of a misconception about the figure and Fomo. Snapchat had a generally negative view, positively expressing itself in real interpersonal relationships. The best result showed YouTube, since users rated almost all the indicators within the normal range, except for the influence of this social media platform on sleep (perhaps it was one of the worst results). 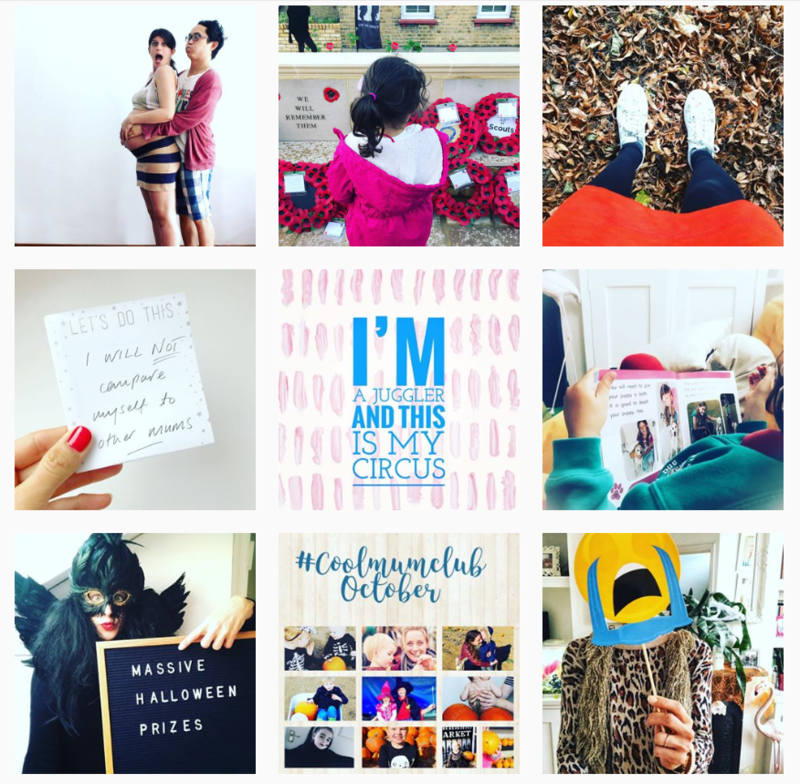 Niamh McDade from RSPH reported that although Instagram looks quite innocuous and friendly at first sight, it has a hidden danger that many users do not even notice. Thoughtless and constant viewing of the news feed does not have a positive effect on the well-being and psychological health of users. Moreover, people do not have active interaction or control over what they view. Many perceive what they see as something real, without particularly emphasizing the unreality of what they are shown on the social network. Such pictures are especially harmful to young users, regardless of gender. The wrong perception of reality and the creation of an ideal body image is only one of the harmful aspects, according to McDade. She does not deny that people can subscribe to channels that advertise different cars, and at the same time feel a sense of anxiety, frustration, or even depression due to the fact that they cannot afford a dream car. The 24-year-old Stephen from London said that Instagram made him miserable by creating a non-existent reality. At that time, he broke up with his girlfriend, and every time he got on her profile, he experienced heartfelt torment, viewing photos of his ex-girlfriend. Despite the fact that he sometimes switched to the profiles of other user-girls who visited his account or got into his news feed, this did not soothe his broken heart. The guy tortured himself so much that he brought himself to the formation of the wrong perception of women, which in the end made him worse. Gathering his strength, Stephen stopped visiting the social network, taking a break for a while. During that period, he wrote a dissertation on how social networks are detrimental to overall mental health, the perception of reality, well-being and the creation of an ideal image. 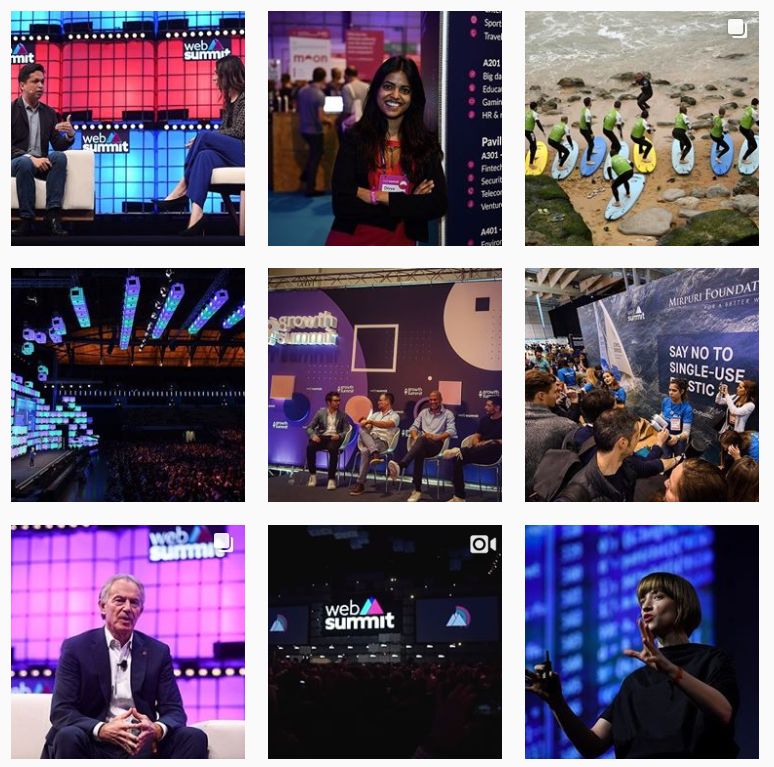 Stephen believes that the main problem with Instagram is that users expose themselves exclusively in the best light, publishing content on which everything is beautiful and everyone is happy. It creates a positive image, far from reality. At the same time, Twitter and Facebook display a more realistic picture, offering an enhanced version of the content. Each Instagram user unwittingly becomes an active or passive hostage to the «ideal life». The unhappiness and dissatisfaction that we feel because of the unreal lives created on Instagram have a direct impact on our reality, as we begin to create an unreal version of our own life. A 25-year-old Syrian guy — Adnan, who lives in Cape Town, said that he has been using Instagram for 5 years. During this time, much has changed — at the beginning, Adnan was very pleased with the social network, but later some changes began to occur. The friendly atmosphere was replaced by competition, where everyone tried to filter his or her lives beautifully, forming something that actually did not exist. Adnan is sure that no one can look great or be happy all the time. Nevertheless, understanding the working principles of the ideal accounts, he is still upset because his life is not so bright and colorful as the others. At the end of his story, Adnan added that he, too, from time to time creates an unreal version of his life, showing only the best moments. Instagram has always been distinguished by its ideal. However, over time, some changes that have left their mark, causing a wave of indignation among users came. Such a decisive moment was the introduction of the algorithmic timeline of Instagram in 2016. This global change was the result of buying Instagram by another social network — Facebook 4 years ago. From 2016, the news feed began to work not according to the usual cross-section principle, showing the records of users you were subscribed to, but to offer the most noteworthy publication of accounts that have been actively promoting their content for weeks or months. Thus, the social network began to display posts that are popular with a large number of users in top positions of the news feed. Shortly after the innovations, Talya Stone appeared on the Instagram scene. She is a parenting blogger at Motherhood: The Real Deal. She said that Instagram was one of the places where users could freely communicate with each other, thereby making the interaction more real. Nevertheless, in spite of the main principle of social networks — the improvement of the co-social connection, the whimsical algorithm that is at the core of Instagram, contributes to the opposite concept. 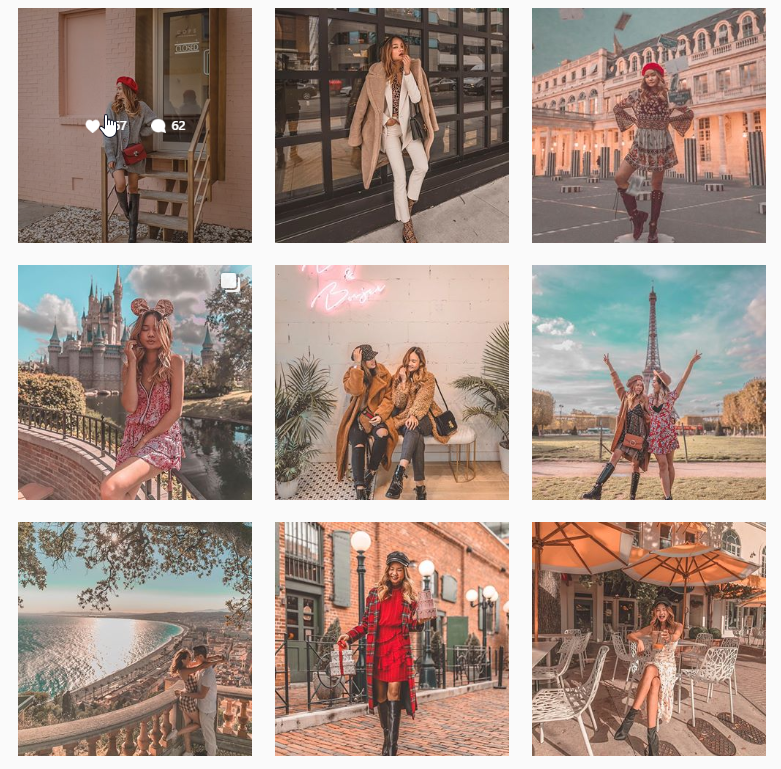 Another lifestyle blogger and founder of Lust List, Victoria Hui believes that Instagram’s algorithm created another problem related to the fact that “pro” accounts, in their quest to make money on advertising and sponsorship, are increasingly using unethical business solutions. In this way, they do their best to stay in the trend and take the first positions in the food chain. In attempts to be in the top, some users started buying followers, likes, and comments, thereby deceiving the algorithm. Since Instagram started to stop such attempts to catch the wave, users began to create secret notations to share likes or comments that would look very natural and not cause any suspicion on the Instagram system. Influential people with a large number of followers and high user activity on their account, such as Dixon, are responsible for creating an unreal life far from reality. However, such user actions also cover lower and higher levels, including ordinary users and Insta-celebrities. Many users, in the hope of getting rid of unpleasant emotions and feeling unwell, stop using the Instagram app. Most of them make their accounts private to keep contacts of only the most important people with whom they usually keep in touch. Nevertheless, in spite of all these attempts, it is difficult to achieve a special result. Even if you stop viewing profiles of influential and famous people, you cannot avoid contact with the publications of your friends, demonstrating how they have a great time, doing interesting things together, but without you. You can accidentally find out about some kind of cool event to which you were not invited. You can sincerely wonder how someone might look great after a hard day’s work or an active workout. You can be offended by the fact that your friend who lives in New York, went to London for the weekend, without telling you anything about that. People are usually being involved in someone else’s life, forgetting about their own reality and in the end, they understand that they did not do anything useful or interesting, except for wasting their days and time in Instagram. The only pleasant moment is that you will not suffer from annoying ads. Each user can independently decide on what account he or she should spend time, and understand what this pastime can give. Someone prefers to continue to follow celebrities, finding some benefit in this — to be trendy, to be the first to learn about some new things. Someone prefers to view the accounts of attractive people, taking their advice. Some people just need to read the news from their friends or relatives who live in other countries. Regardless of what kind of pastime on Instagram you choose, be sure to concentrate on what brings you pleasure. Follow accounts that inspire, relax or teach something new and useful. Get rid of accounts that make you jealous or upset. Take and use Instagram as a source of information that will bring visual positive and aesthetic pleasure, along with useful tips and advice. Move away from profiles that advertise or display things that you do not need and that will not bring you any benefit. Moreover, focus your attention on those users whose accounts are close to you in spirit. Unsubscribe from the pages, which show the beautiful people with the ideal figure and skin, if it causes you discomfort and makes you feel uncomfortable and awkward. Create your environment yourself — subscribe to profiles that will help you perfect your body shape, get rid of bad habits. Make sure your news feed is filled with inspirational pages. However, the most important thing is to start with yourself. Stop creating a non-existent version of your ideal life, do not demonstrate your reality through the prism of filters, and try to be alive and sincere. This will help to surround yourself with the same real people who will not be afraid to show real themselves. You will be able to share tips and cope with difficulties together and more confidently go towards your goals. Concentrate your attention on the positive, do not search the problem in Instagram, and search the problem in yourself. You can always unsubscribe from accounts that cause you to have negative emotions and make you feel bad. There are many accounts on Instagram that promote nature, animals or give useful travel recommendations. Agree, it is difficult to get angry because of a cute cat, an otter or a cockatoo, as well as it is difficult to envy beautiful landscapes or accounts that tell about our planet or about the space. Make the right choice and fully enjoy the possibilities of Instagram!